Himanshu H. Shah‘s Shah Capital Management has reported acquiring a total of 1.0 million shares of UTStarcom Holdings Corp (NASDAQ:UTSI). Following the increase, Shah holds in aggregate a total of 7.54 million shares, which represent of 21.01% of the company’s common stock. The new securities have been acquired in one deal, at a price of $2.54 apiece. According to the filing with the SEC, Shah acquired the shares under the terms of a purchase and sale agreement between UTStarcom Holdings Corp (NASDAQ:UTSI) and Shah as buyers and Softbank America Inc as the seller. Softbank agreed to sell a total of over 4.88 million shares at a price of $2.54 apiece. Following the execution of the plan, Softbank sold its entire position in the company. According to a statement, Softbank has been a major shareholder of UTStarcom since 1995 and it sold its holding due to a change in its investment strategy. 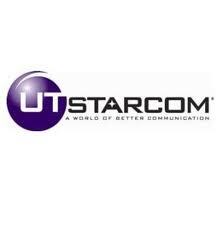 Earlier, Shah Capital Management intended to acquire UTStarcom Holdings Corp (NASDAQ:UTSI). However, in November, the fund reported about the withdrawal of its proposal. At the same time, in November, Shah reduced its exposure to the company to 6.54 million shares, equal to around 17%, from 6.86 million held previously. UTStarcom Holdings Corp (NASDAQ:UTSI) is a telecommunications company engaged in IP-based network solutions. In addition to Shah, Phil Frohlich’s Prescott Group Capital Management also holds shares of UTStarcom, its stake amassing 2.31 million shares, with a reported value of $6.35 million, as of the end of September 2013. Another shareholder is Chuck Royce’s Royce & Associates, with a holding of 336,900 shares, worth $926,000 as in its latest 13F. In the equity portfolio of Shah Capital Management, UTStarcom Holdings Corp (NASDAQ:UTSI) represents one of the largest positions. However, the biggest one, in terms of value is represented by China Yuchai International Limited (NYSE:CYD), in which the fund owns 2.31 million shares, with a reported value of $54.83 million.